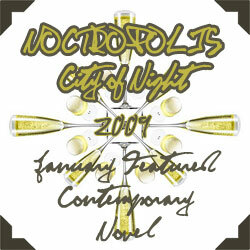 Noctropolis - City of Night is based loosely on the film "Dark City". Is life but a dream...? What do the lab rats know of the universe beyond their mazes? The blind alleys and endless turnings are for them normalcy. 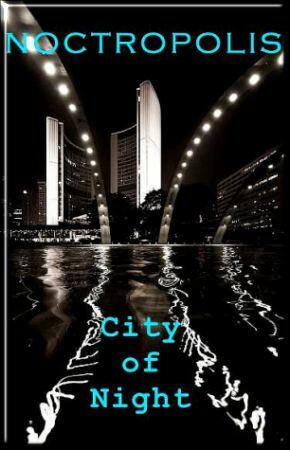 Noctropolis is a city where the sun never shines, a city of perpetual night, a city without escape. Noctropolis is a myth, a legend, an imagining. Where they came from, what they are doing, and where it shall lead are unknown. All that is known is that Noctropolis exists in and of itself in a universe where all is possible except escape and morning. Membership to this novel is restricted to active writers. Hard drinking he is determined to solve �the case�, missing persons (presumed dead). With a lack of evidence he is constantly on the hunt. Through his relationship with the reporter the detective is awoken to the reporter�s ideas� and slowly starts to believe in them. A slow and steady stream of torch songs issue forth from her, she is more gesture than real, more posed then poised, but it is a steady job. She brings pragmatism to Noctropolis, scuffs at the theories. A consummate tease, she leads others on to where she herself will not go. Jealous, and acts protectively towards the lounge singer. Her actions and behaviour leads the detective along a trail, twisted and bent that creates confusion. The librarian works in the hall of records as well as the public library. He is visited by people looking for information, records etc. He works closely with the detective and the reporter. It may be possible that the librarian is the source of the information which leads the reporter to come to his theories. Nervous and conspiracy minded the reporter follows the detective and occasionally poisons his mind with strange stories of collusion, connivance, and manipulation. They are the first to grasp at the straws of what Noctropolis is. As the story progresses the reporter infects the detective with the ideas. A failed musician who has fallen on hard times, he finds himself doing odd jobs --- and whatever else --- to keep the wolves at bay. Concealing a terrible lie and futilely seeking redemption, the Doctor is a borderline alcoholic who has the scientific background to discover the true nature of their existence. If you can get him to believe it's important, that is. When you can can no longer distinguish between the role and life there is nothing left but seeking an oblivion that does not come.